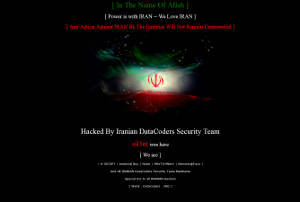 It has happened again, another one of my colleagues sites was hacked. Sadly as WordPress gains popularity it’s becoming the victims of numerous hacks. WordPress is more complicated than regular HTML sites and requires that the database be backed up. This requires a special steps that not all hosting companies provide. If you have a WordPress site, please make certain your hosting company is backing up the MySQL database as well as the files. Or call us directly at 860-304-6369. 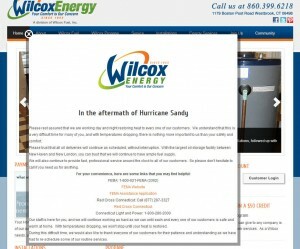 A few months ago my company created a new site for Wilcox Energy, a premium energy company delivering oil and energy services to residences located in Westbrook and surrounding towns since 1955. However, since their site was created in WordPress Julie was able to download a free pop up plugin. Plugins are little programs that add cool functionality to WordPress. Most are free. Click here to view the site and see the plugin in action. This is a great way to easily project an important message to your clients.